Syracuse Univ Pr (Sd), 1968-06. Hardcover. Good. Cosimo Classics. PAPERBACK. 161640275X Special order direct from the distributor . New. Syracuse, NY: Syracuse University Press, 1968. First Editiion. Hard Cover. Very Good/Very Good. 8vo. Syracuse, NY: Syracuse University Press, 1968. 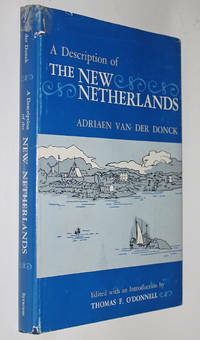 First Modern Edition, First printing. Hard Cover. FINE IN FINE, RPCIE-CLIPPED DJ. Edited with an Inroduction by Thomas F. O'Donnell. 2010-09-09. Good. Ships with Tracking Number! INTERNATIONAL WORLDWIDE Shipping available. May not contain Access Codes or Supplements. May be ex-library. Shipping & Handling by region. Buy with confidence, excellent customer service! Syracuse Univ Pr. Hardcover. 0815621272 Like New Condition. . Fine. Syracuse Univ, 1968. Hardcover. Very fine clean condition in very good plus bro-darted dust jacket. 142pp, with fold-out map. Bookseller: J. Hood, Booksellers, inc.
Syracuse Univ Pr. Hardcover. 0815621272 New Condition. . New. Syracuse Univ Pr (Sd), 1968-06-01. Hardcover. Used:Good. 2002-01-09. Good. Ships with Tracking Number! INTERNATIONAL WORLDWIDE Shipping available. May not contain Access Codes or Supplements. May be ex-library. Shipping & Handling by region. Buy with confidence, excellent customer service!